Mission Statement: To provide excellence, quality & professionalism in flight training.To provide Individualized Flight Training Programs that guaranty efficiency, affective flight training, allowing students to reach their future goals. To continually develop our training programs to ensure they meet the highest of standards in the flight training industry. Few qualifications can match the challenge, opportunity and satisfaction of achieving a pilot's license! Many of our graduates have gone on to achieve great things in aviation. 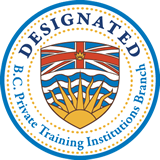 We have trained pilots for major airlines like Air Canada, WestJet, Air India, Cathy Pacific and Butan Airlines. We have helped many of our private pilot graduates purchase their own aircraft. For those who would prefer to train on their own aircraft or require insurance checkouts our instructors are experienced in training on multiple types of aircraft including all Piper single engines, Cessna 150, 152, 172, 182, 206, all Van RV's, Mooneys and multi engine Cessna 310 and Piper Navajo's. To get started why not take an introductory flight or for a richer experience take a full first lesson. Gift Certificate are available for both options. Introductory flights from $109.95 or $129.95 depending on your choice of aircraft. We are pleased to annouce that our programs will count towards credit at UFV. How to choose the right flight school? For out of town students we are happy to help arrange accommodations.